I come from Celluloid. Years in the darkroom exploring light through grain. I would experiment with papers and styles of film. ; primarily shooting medium format images on cameras of vintage delight (like the one below). There was always a quality of mystery that kept my exploration fresh and exciting. About 10 years ago, One of my great friends and photographers, Erin Preston and I started to explore Double exposure in camera on film. We worked with color. I later worked in Black and White. Some of the images worked. Some had to much going on. So began my love affair with multiple exposure in camera. For years, this is all I shot. Although I had gone through the digital revoltuion with photography, I still prefered film. Recently, I got the opportunity to dive deeper into the newer digital cameras, as well as the lightroom software (thanx to the magik of Anne Staveley). Inspiration and excitement, as well of a host of beautiful images, came to expose mystery and edge as a language to create from. 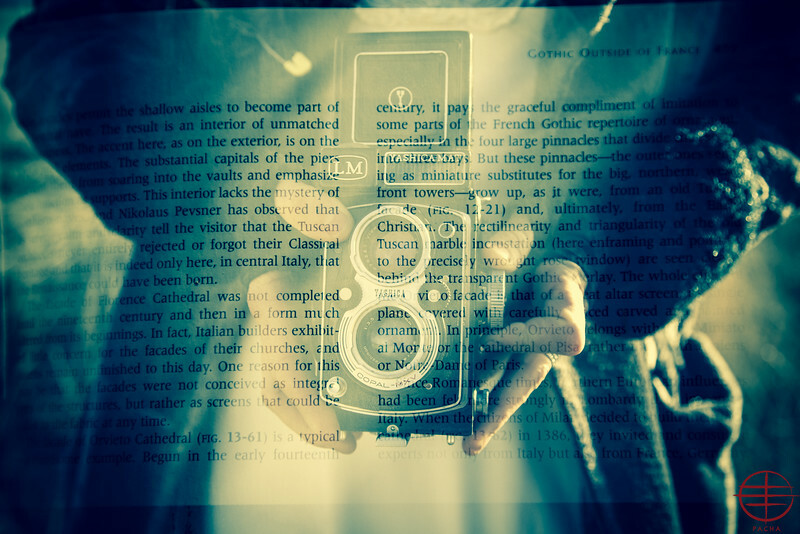 All the images shared on this site, are created in camera, with Multiple exposure settings. This means, that i shoot one picture, and on the same image, another image is shot. I dont know how it will come out, as this is the play on the unknown. And yet, this unknown continues to reveal the hidden layers, of what i call the"in between worlds". The Atlas Altar.